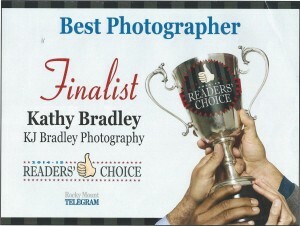 Even though you will not see my name listed in the 2014 Rocky Mount Telegram’s Reader’s Choice Awards, I would like to extend a heartfelt thank you to my clients who took time to vote. I wasn’t aware the contest had even occurred until the Telegram’s advertising department contacted me to purchase an ad thanking my fans for making me a finalist. After the special section was published, I received a letter of apology from the paper’s staff for the mistake in the final paper. I guess you win some and you lose some and occasionally you win things in private. Nonetheless, I am truly grateful for your support today and always. THANK YOU! Congratulations to all the winners and finalists!